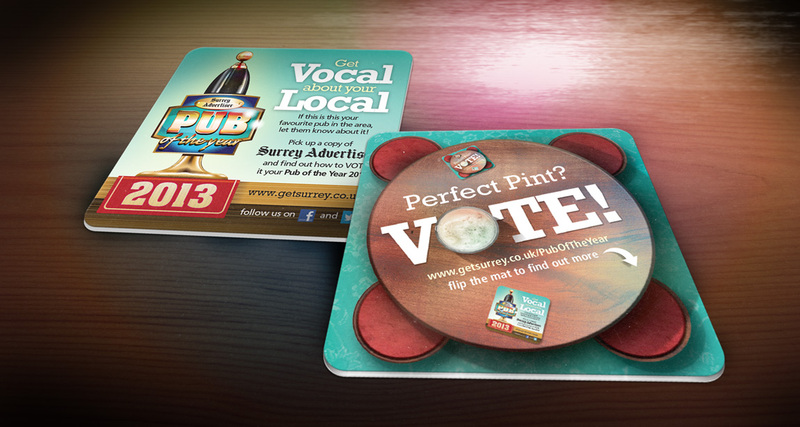 I branded, copy-wrote and executed all marketing collateral for this targeted campaign which was rolled out in pubs and tailored for local newspapers across Surrey, Berkshire, Hampshire and Buckinghamshire. 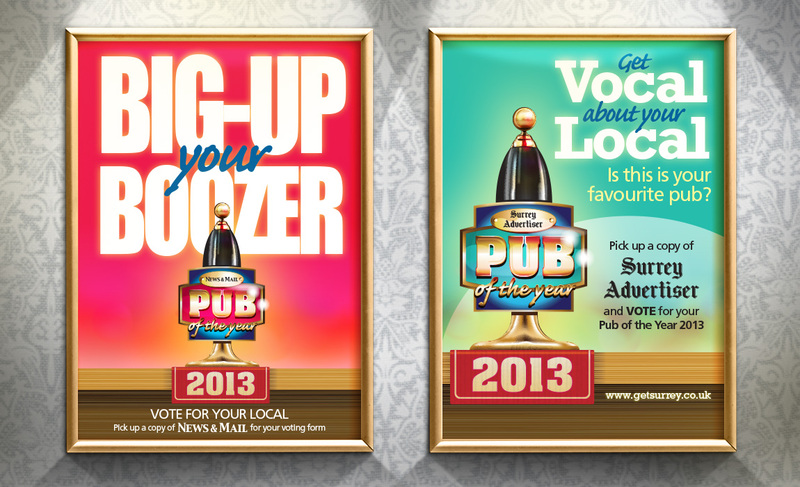 A community initiative, the aim was to raise the profile of traditional local pubs within their communities whilst generating newspaper sales and website traffic. This campaign continues to run on an annual basis.